The Cheesecake Factory offers more than 200 menu selections including steaks, pastas, specialty salads, pizzas and fresh fish. Don’t forget to save room for one of their more than 50 decadent cheesecakes and desserts. 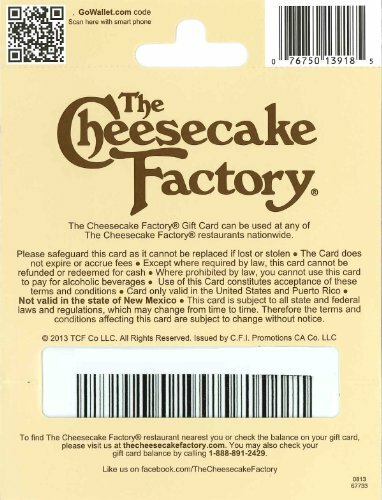 The Cheesecake Factory Gift Card can be used at any of The Cheesecake Factory restaurants nationwide. 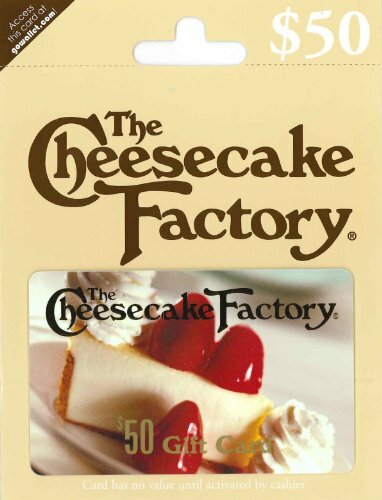 US chain of full-service restaurants, specializing more than 50 decadent cheesecakes and desserts.